This 2x9L divide pail has dual compartments to keep fresh and detergent water separate. 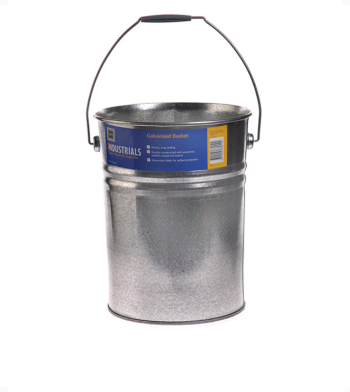 It is lightweight and chemical resistant. 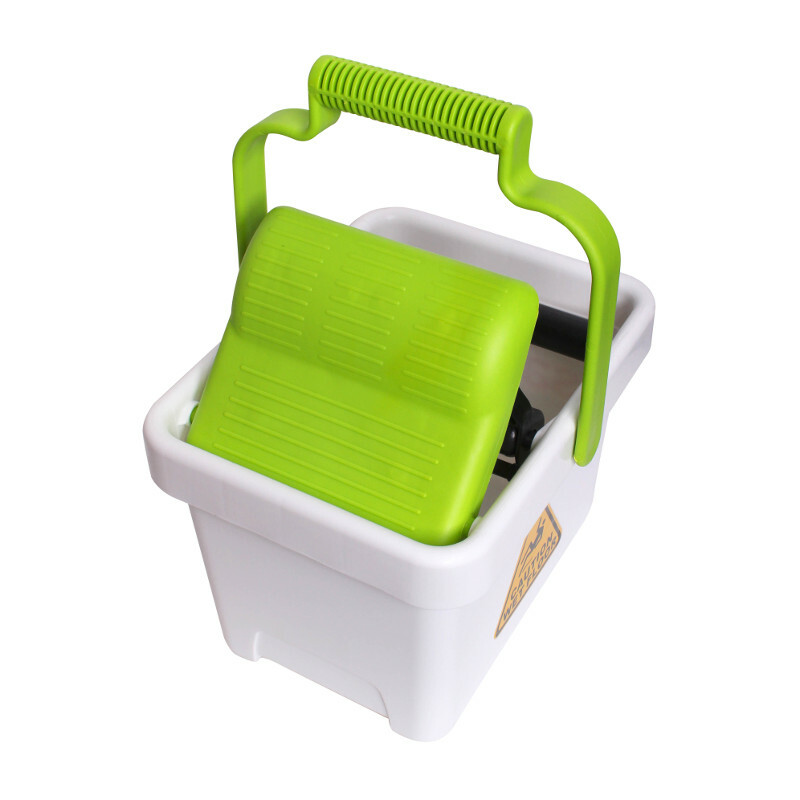 This is ideal for window cleaning. It has 9L capacity on each side. 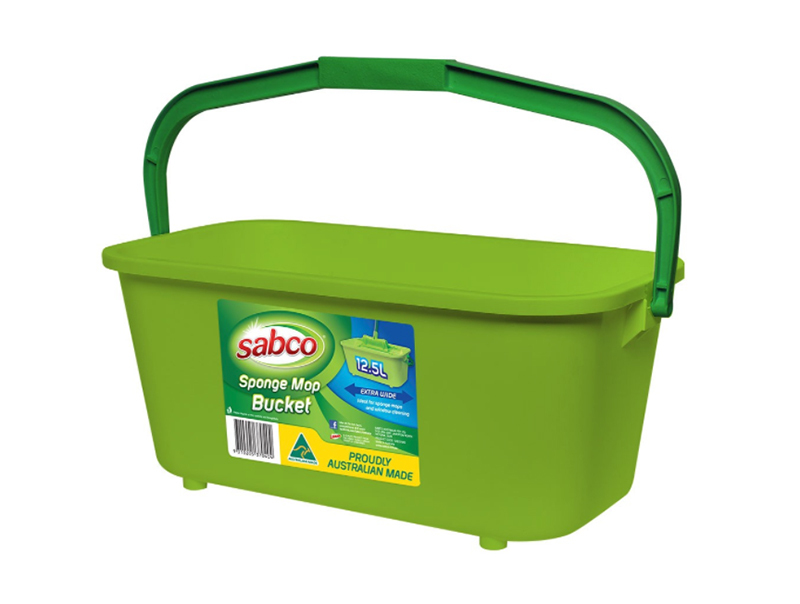 Sabco round bucket has a capacity of 10L. 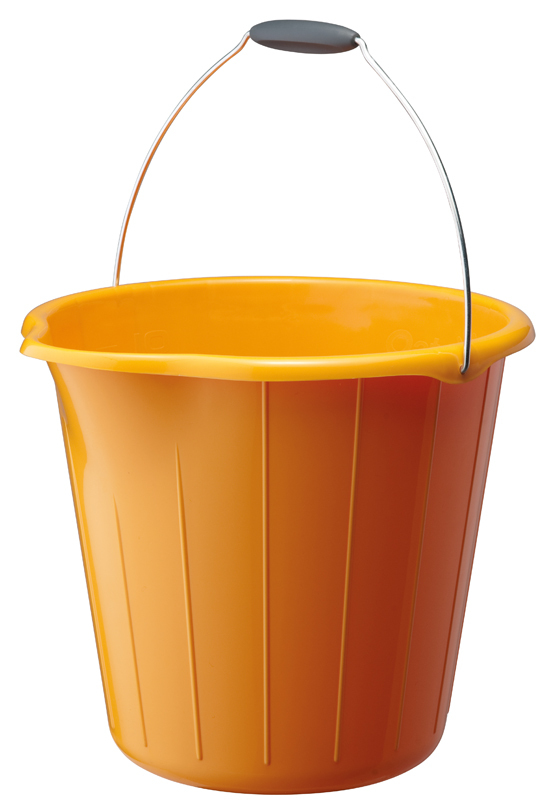 Round Plastic bucket with a great pouring lip. There is a water level indications. 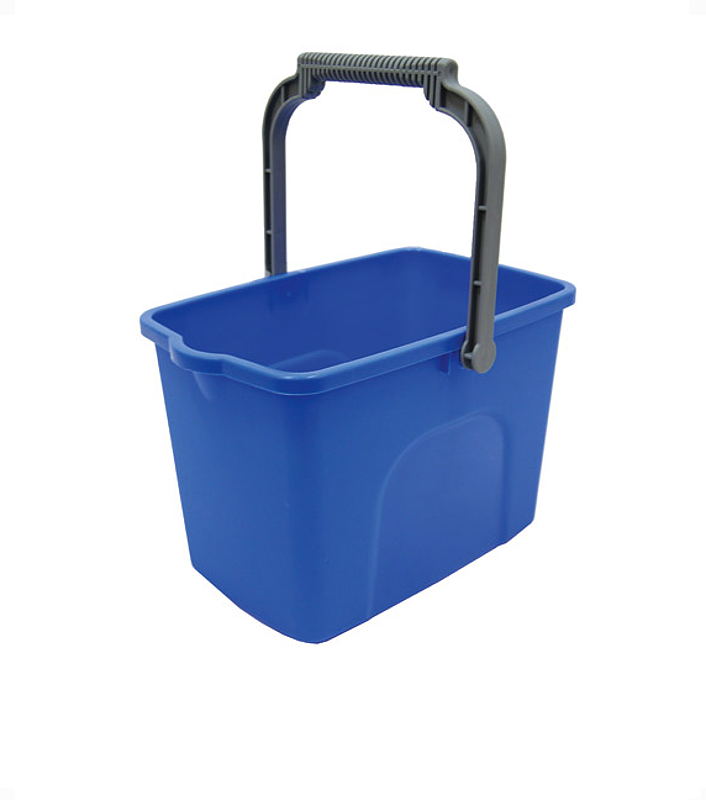 It has a stronger wire carry handle which is preferred over plastic by many due to its extra strength. 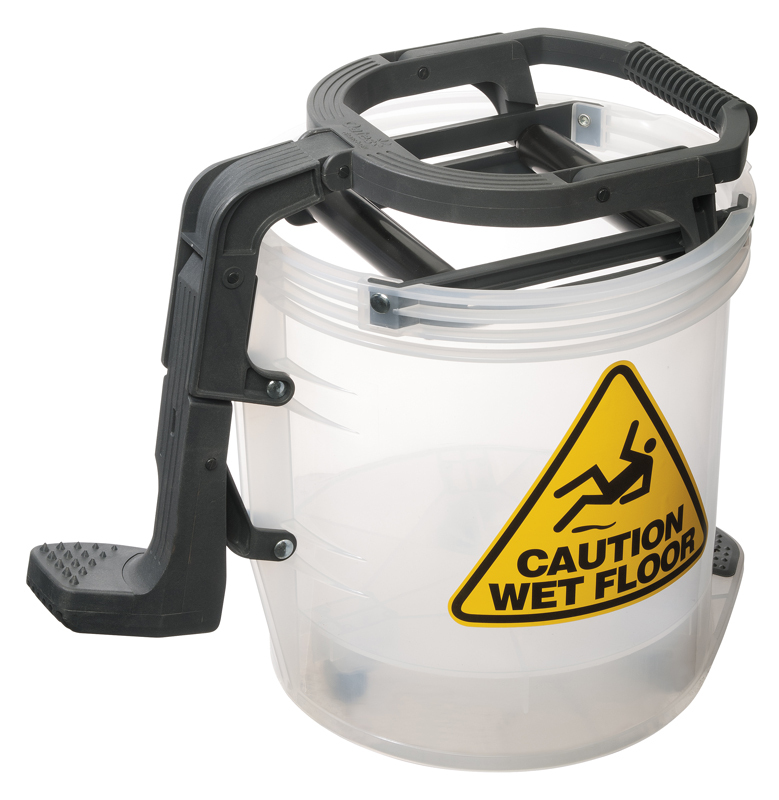 It has a special wide mouth design that makes it easy to use with larger mops. 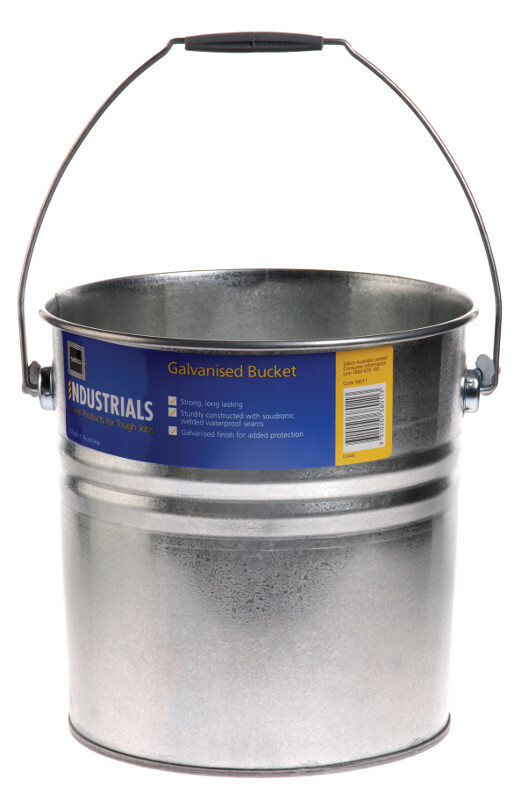 It is a rust resistant bucket. It is portable for easy storage. 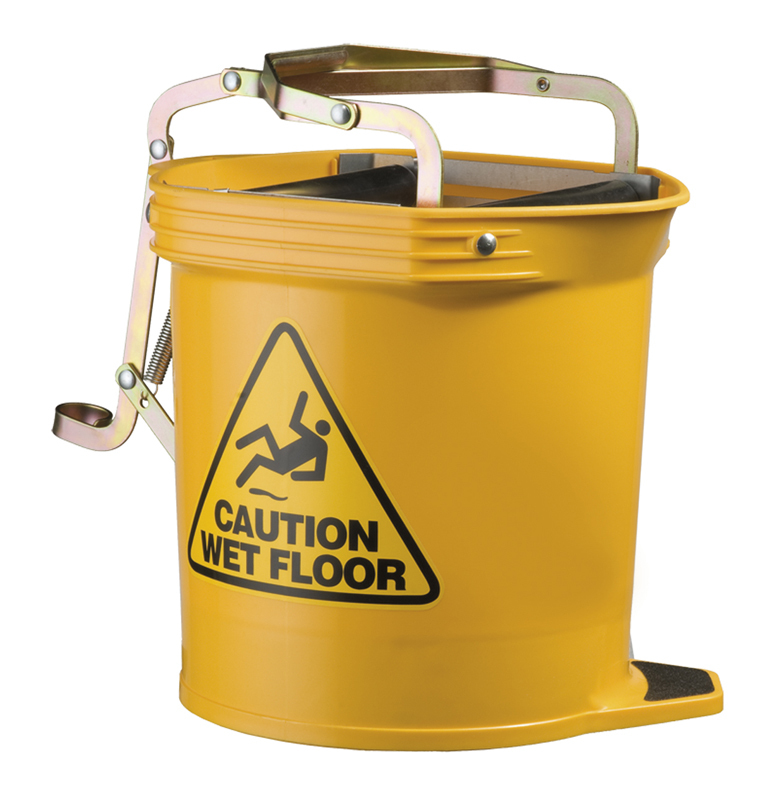 It has a non-slip base. Fast and simple press to squeeze mechanism. 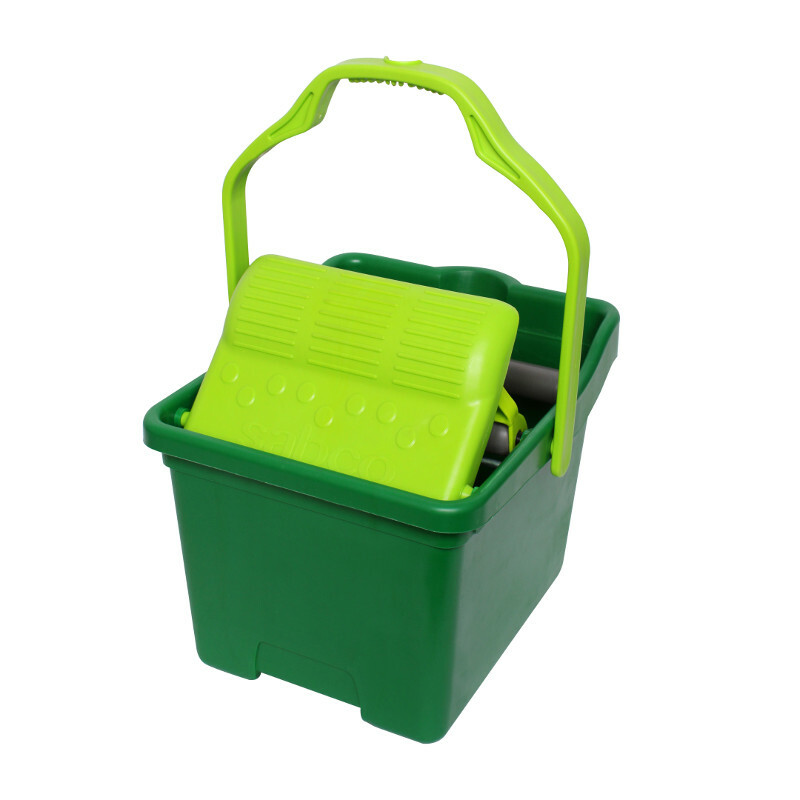 This domestic wringer mop bucket has a volume capacity of 9 (white color - SAB37033) or 12L (green color -SAB37046). 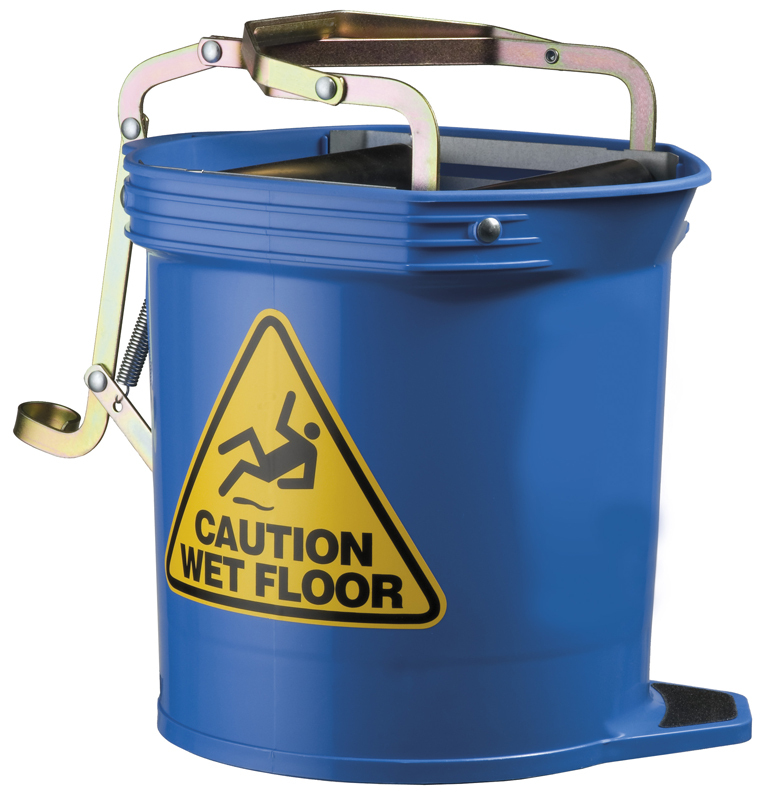 This bucket is ideal when using strip mops. 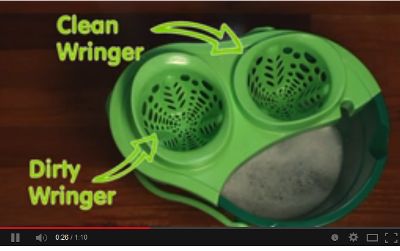 Two wringers to separate dirt and clean water. 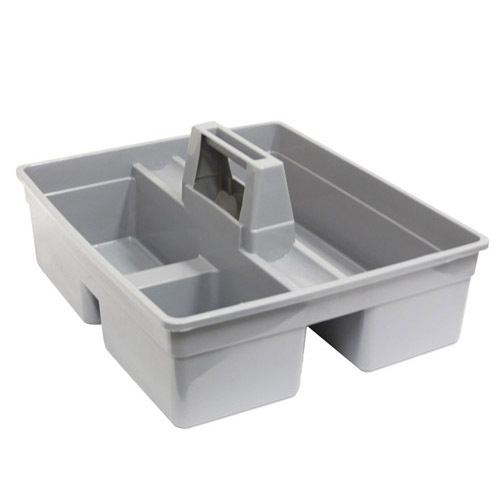 It is easy to remove and separate pieces. Very strong and durable bucket. 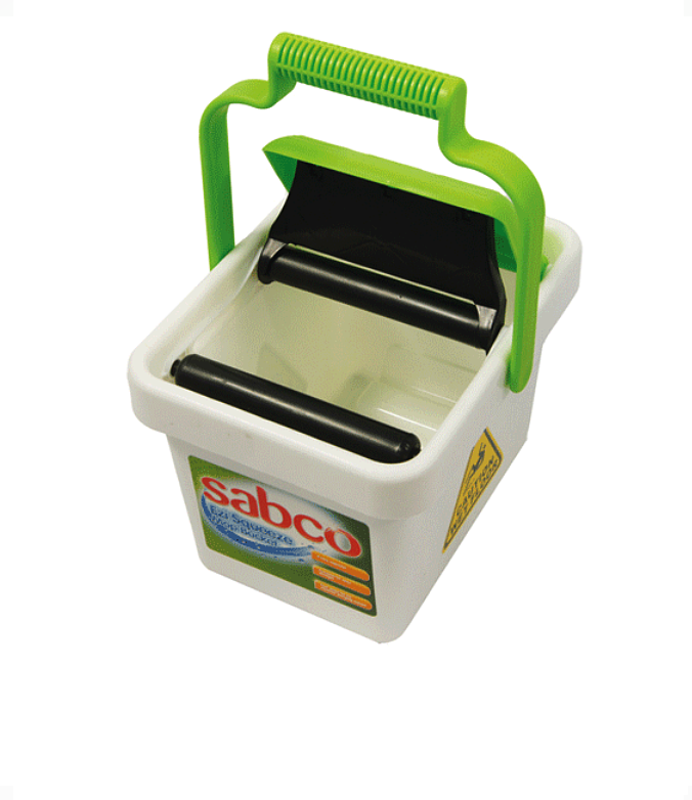 Translucent design for easy identification of contents. 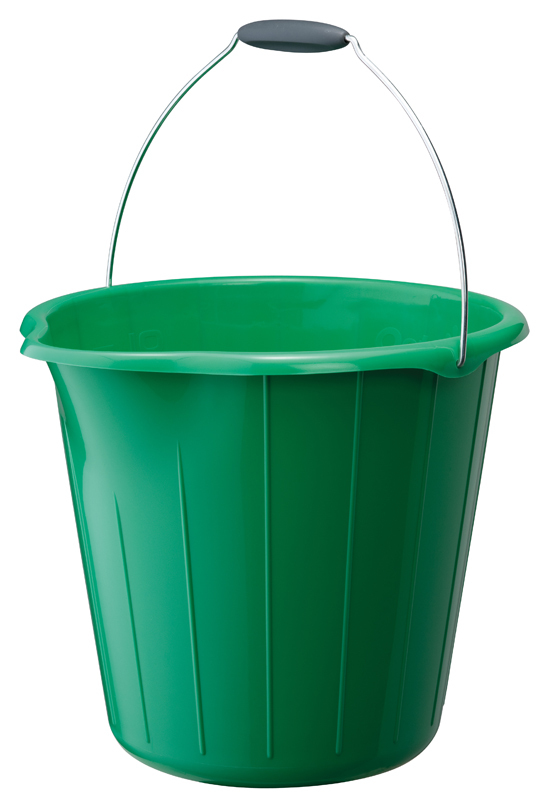 It is ideal for everyday use. 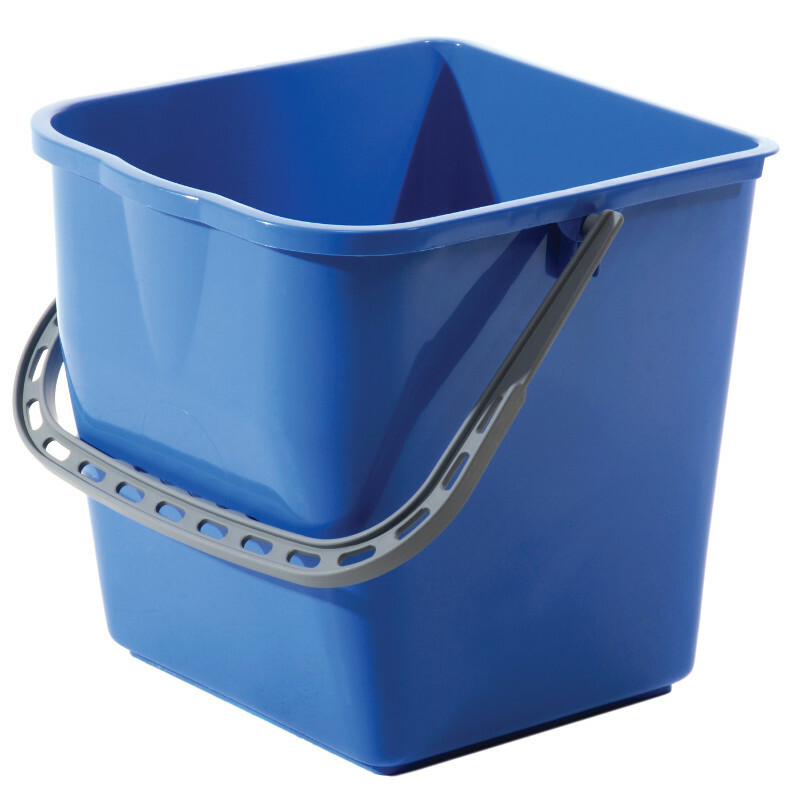 Ergonomic handle with comfort grip. 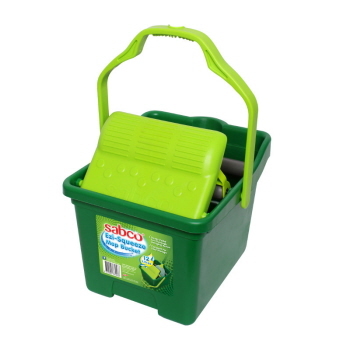 It has 12 litres capacity. 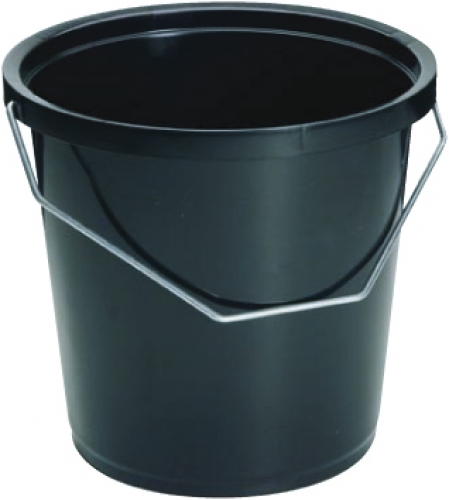 11 litre capacity. General purpose bucket for use around the home and garage. 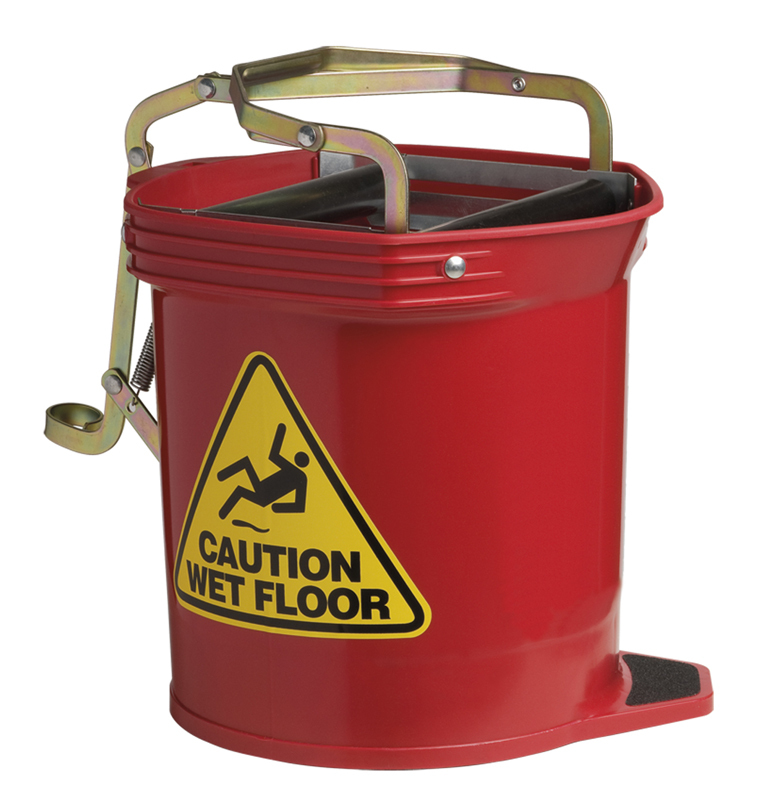 Suitable for squeeze mops. Plastic carry handle for extra strength. It is ideal for use with squeeze mops. 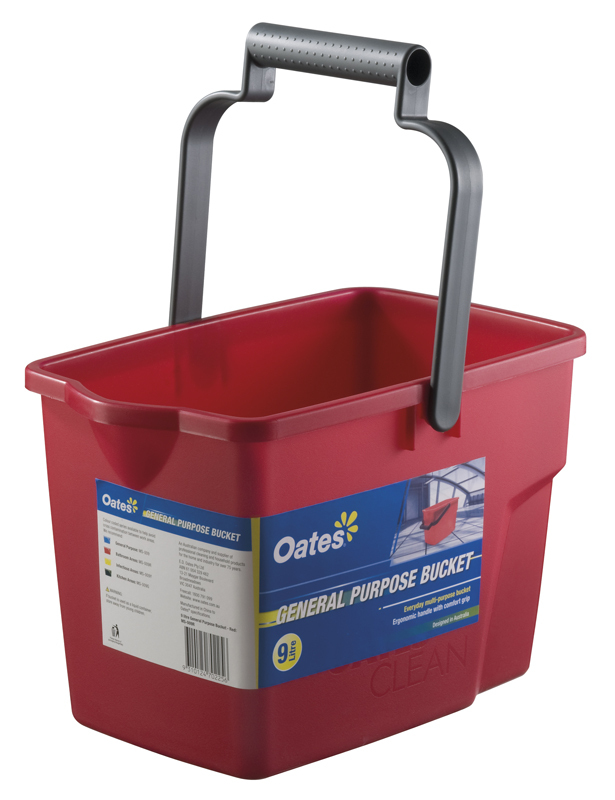 A perfect general use bucket around the home, garage or factory. 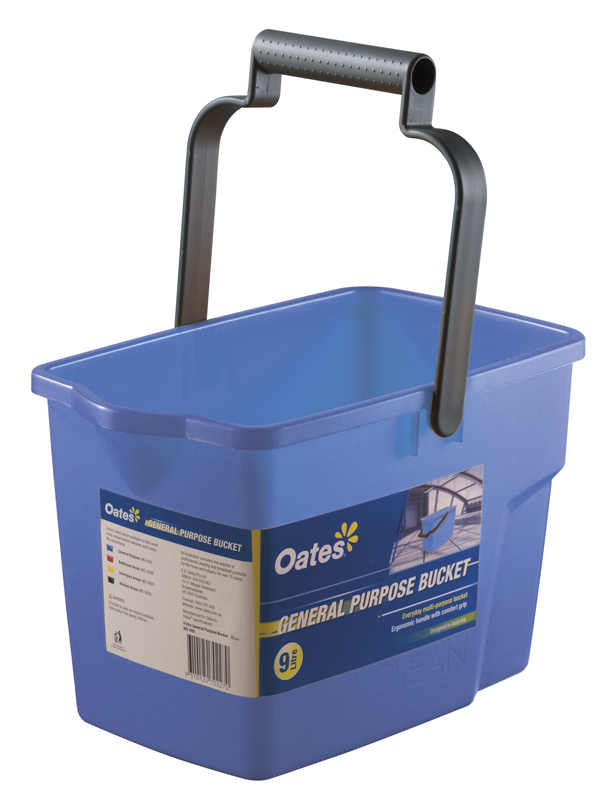 Everyday multi-purpose bucket. Handy pouring spout for easy transfer of liquids. Ergonomic handle with comfort grip. Available colours are: blue, black, green, OAMS-009R red, and yellow. Available capacity is 9 L.
Divided Pail. 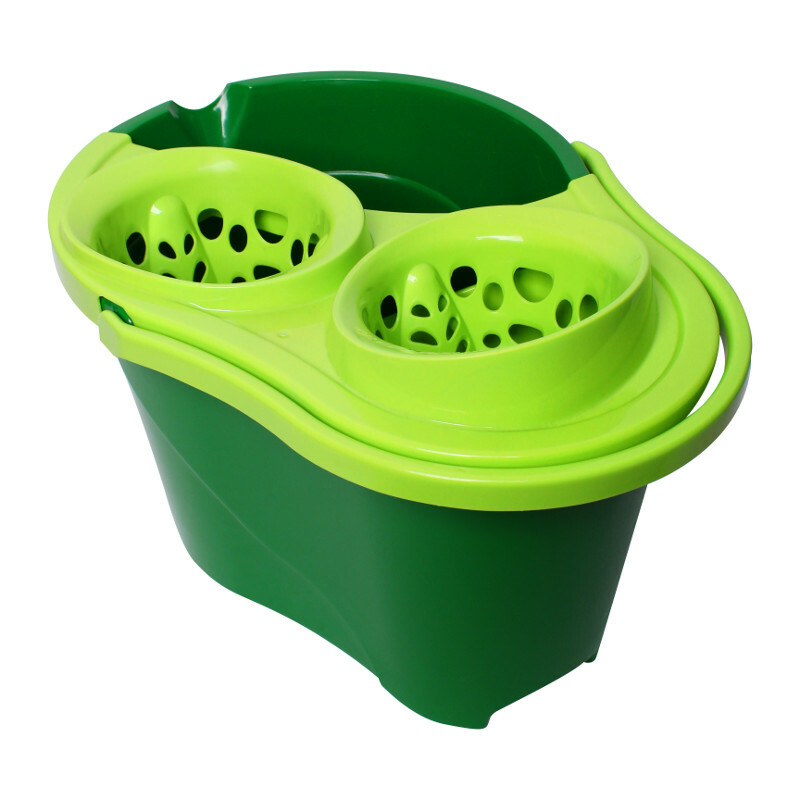 Enables dual use of fresh and detergent water. 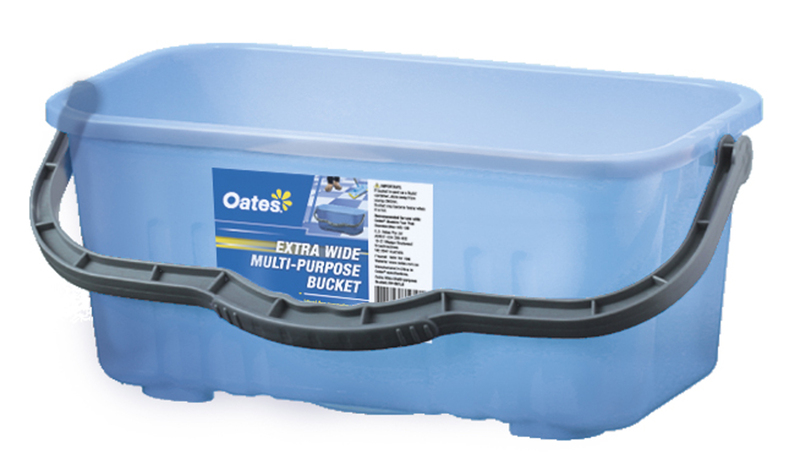 12l capacity. Round plastic bucket with pourer. Water level indications. Wire carry handle for extra strength. Warranty of 5 Years manufacturers defect! Good value for the quality. 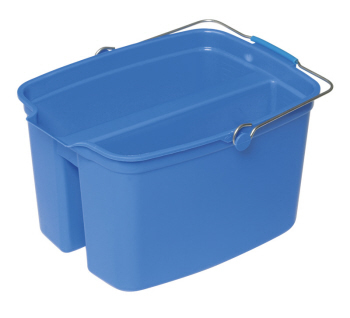 4l capacity. 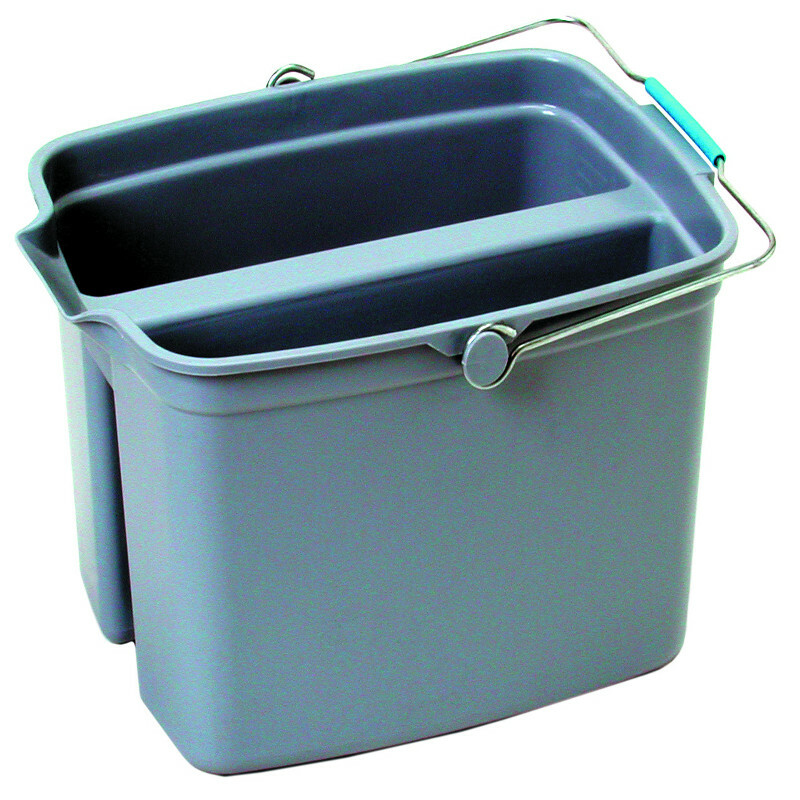 High quality bucket to suit cleaners trolley. Available colours are red and blue. Strong and durable 14 litre capacity. 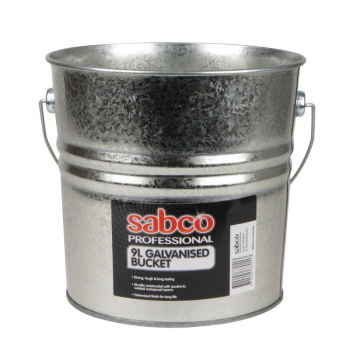 Galvanised finish for added protection and handle for easy carry. Strong and durable 9 litre capacity. Galvanised finish for added protection and handle for easy carry. 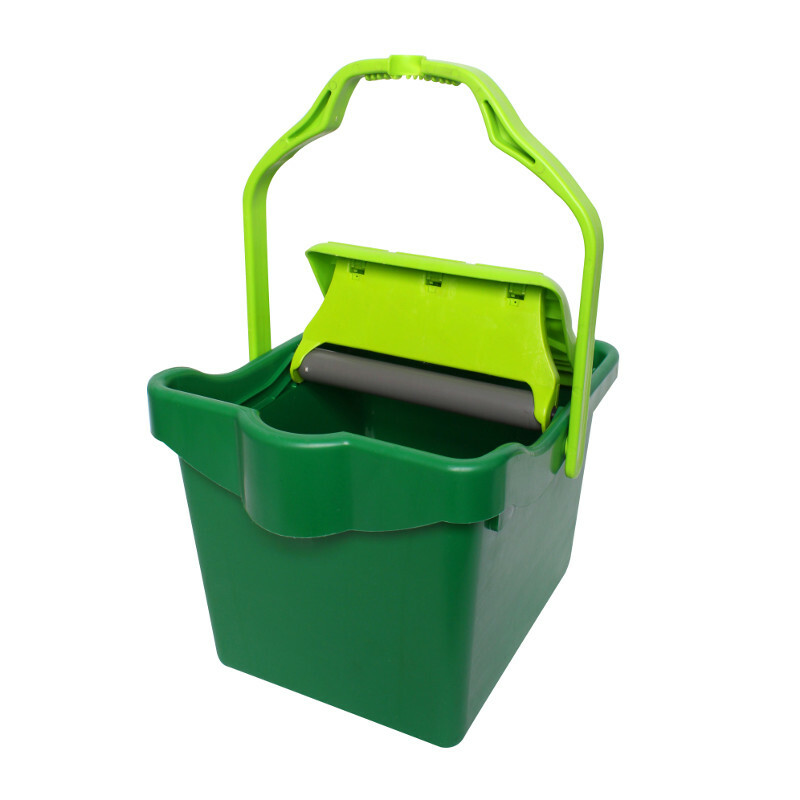 All plastic rollers with no metal rod. 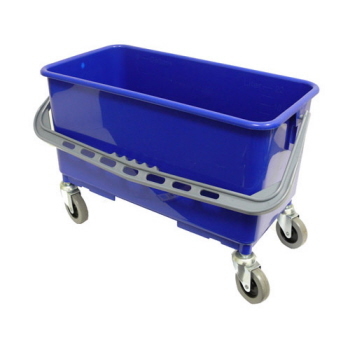 Translucent durable heavy duty plastic is lightweight, hygienic and rust resistant. 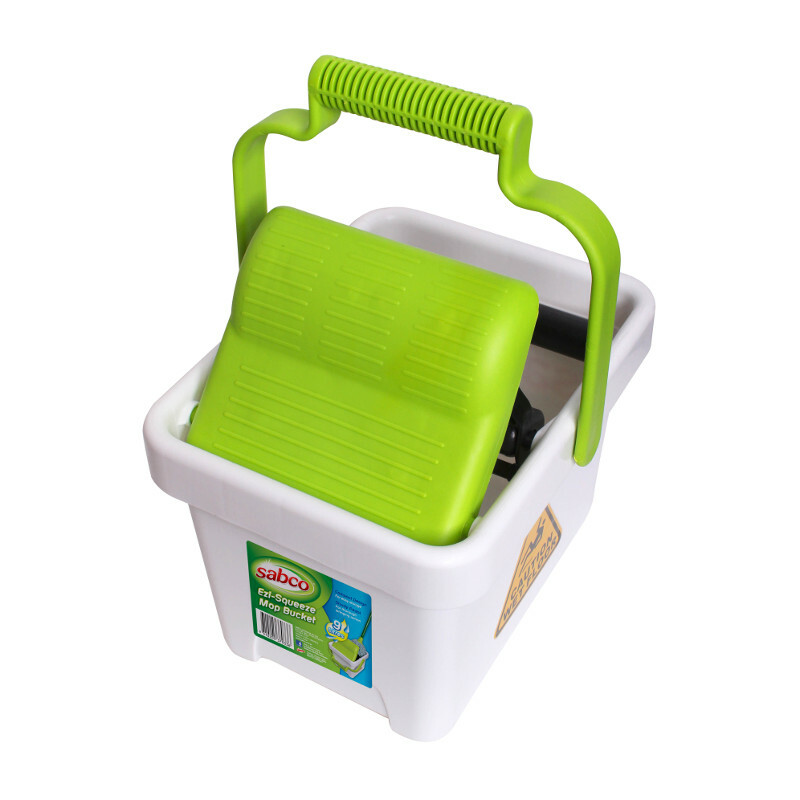 Ergonomic, simple and easy action plastic wringing system with non-slip foot pedal. 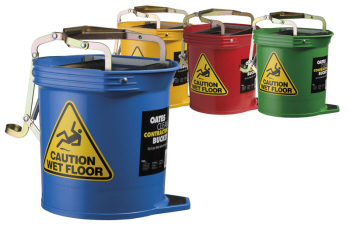 Non-marking castors for easy manoeuvrability. It includes colour coded sticker labels that can be applied to the exterior of the bucket to help avoid the risk of cross contamination between work areas. 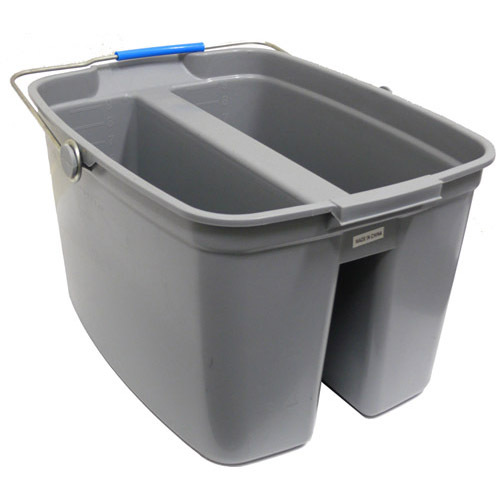 Extra wide opening to accommodate larger mop heads. It has heavy duty plastic body is lightweight and hygienic. 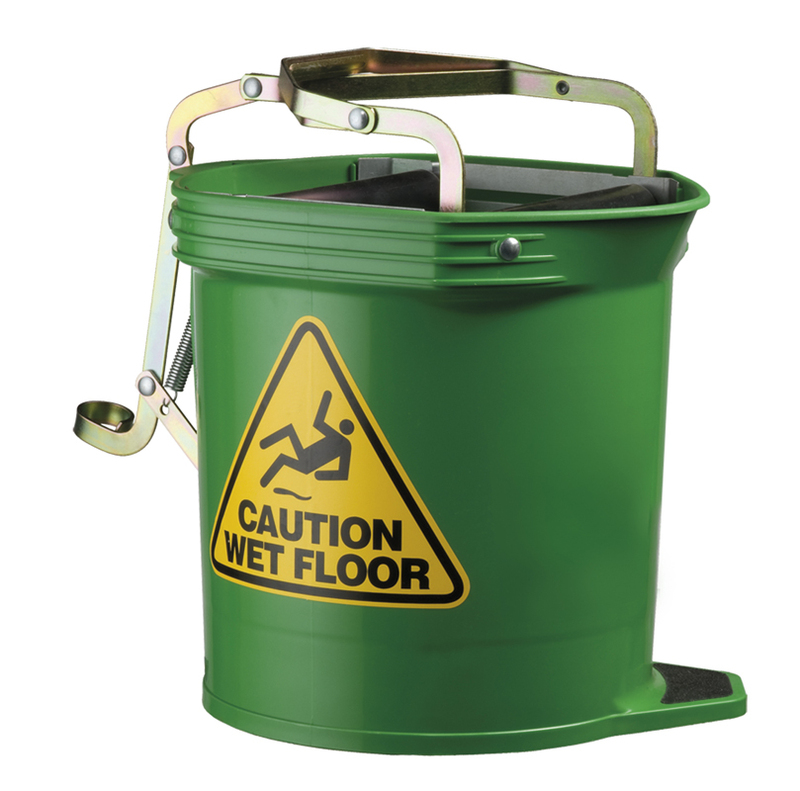 It has non-slip foot pedal and castors that provide greater maneuverability. 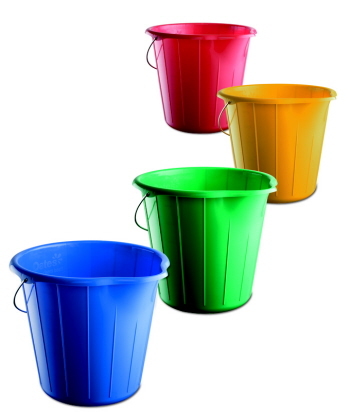 Available colours are blue, green, read and yellow. 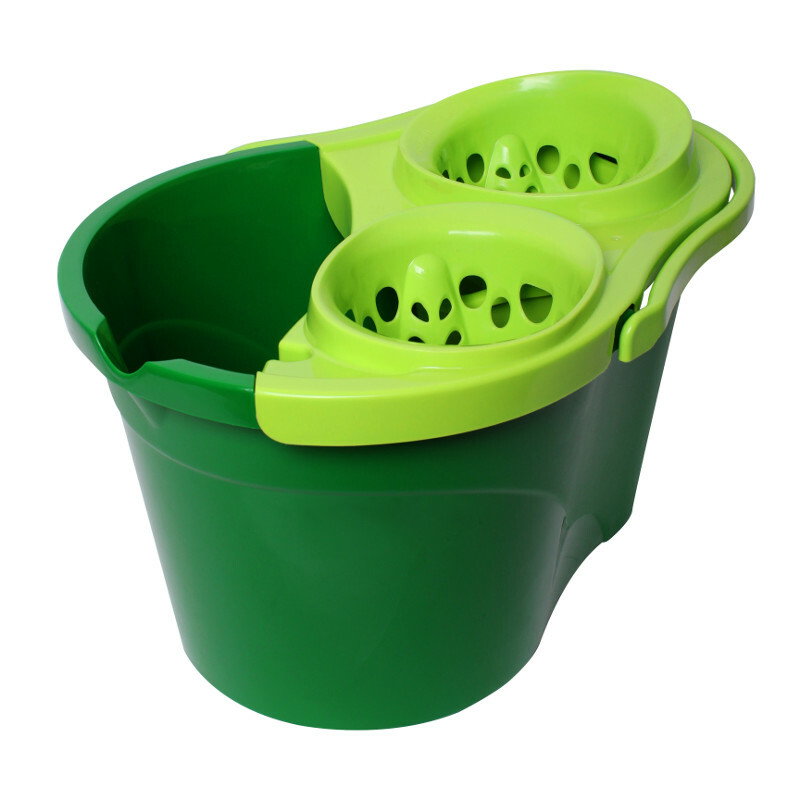 This translucent lid allows you to view bucket contents from top. It keeps window cleaning equipment securely inside. 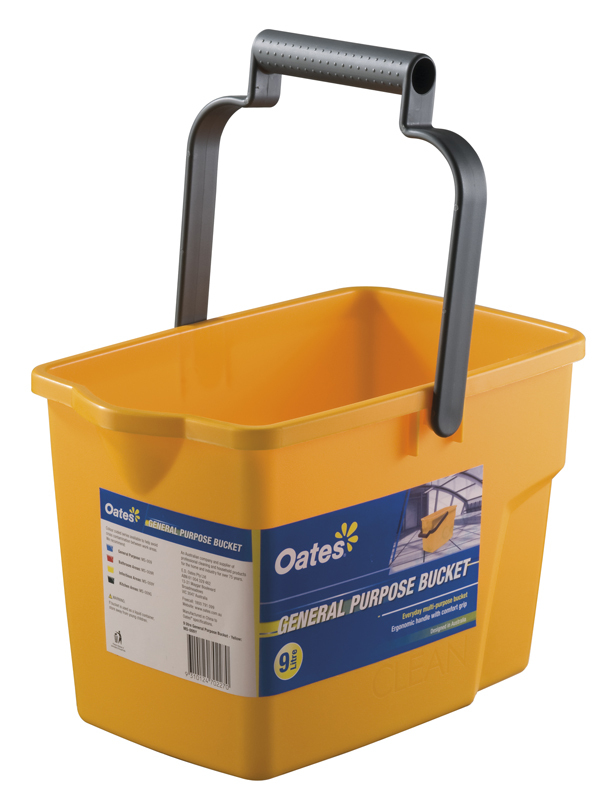 It is perfect for use with Oates 12 Litre Buckets OAIW-051 and OAIW-051LB. 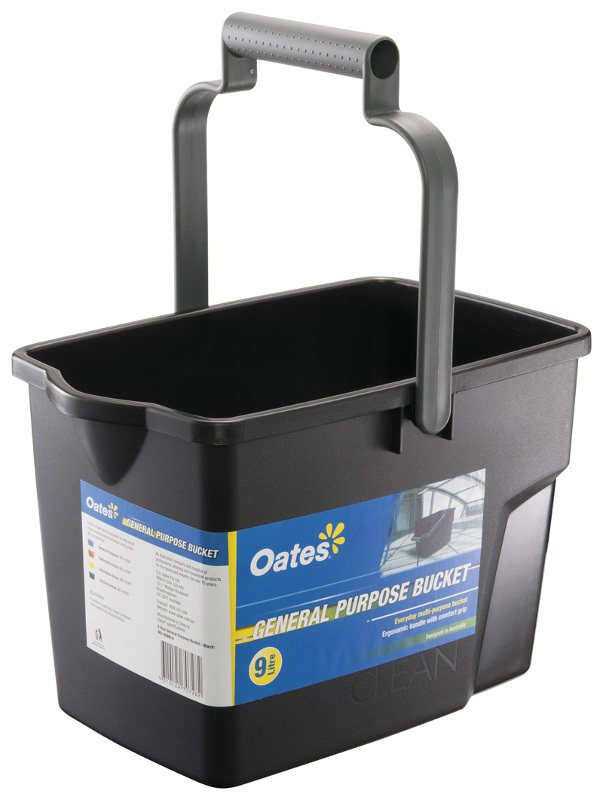 This is perfect for pre-soaking microfibre pads prior to flat mopping. This everyday multi-purpose bucket has handy pouring spout for easy transfer of liquids. 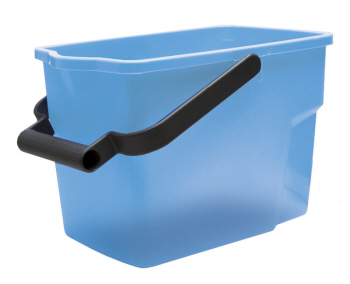 Ergonomic handle with comfort grip. 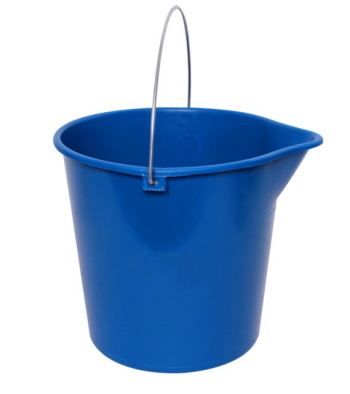 Available capacity is 9 litres. 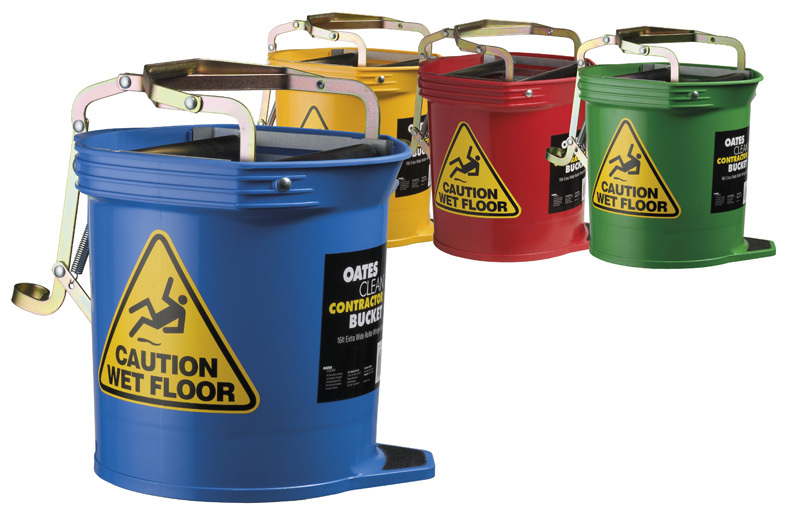 Chemical resistant with heavy-duty castors. 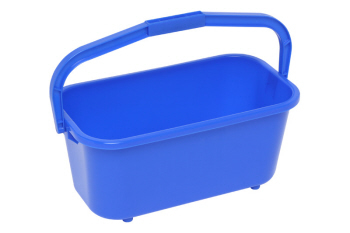 It has ergonomic handle. 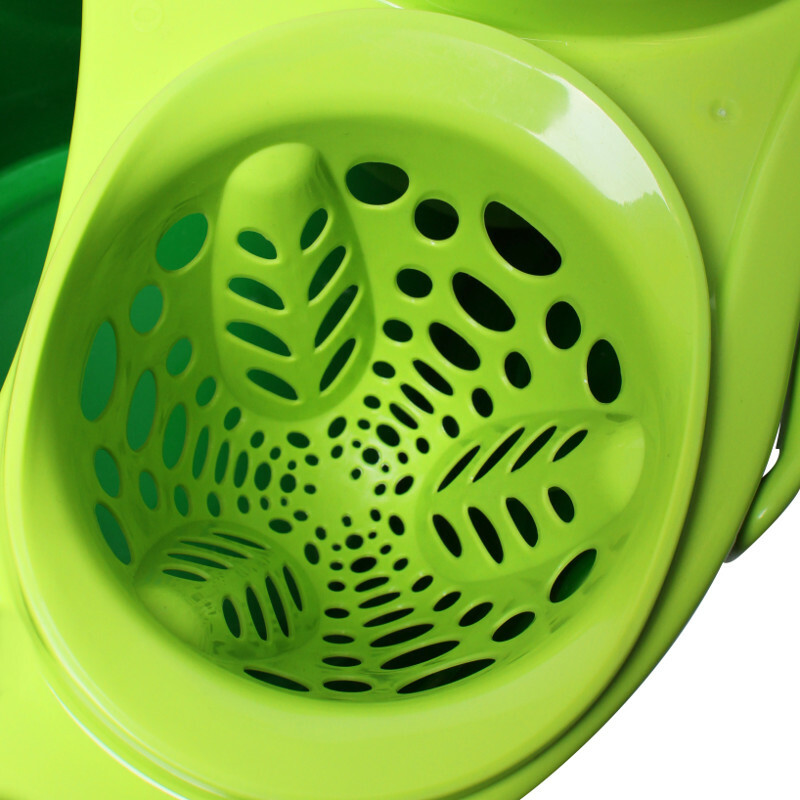 Washer scrubbing grid included. 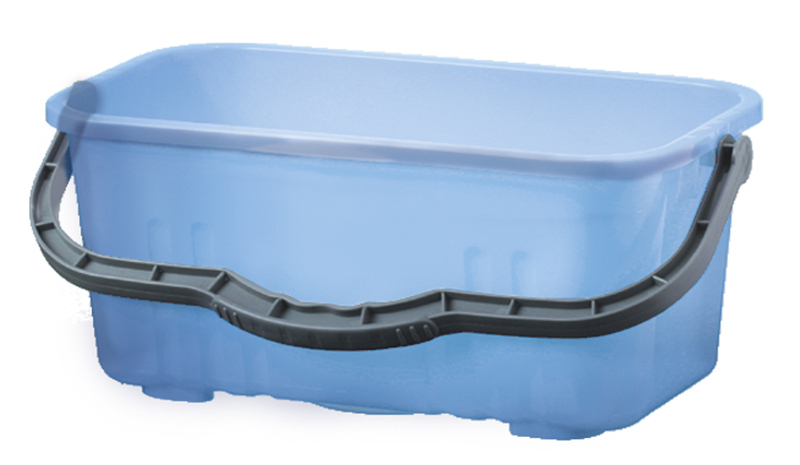 2 x9L compartments with water level indicators. 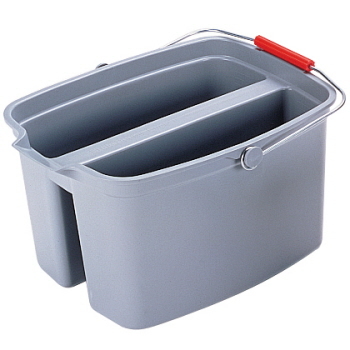 It separates clean and dirty water. 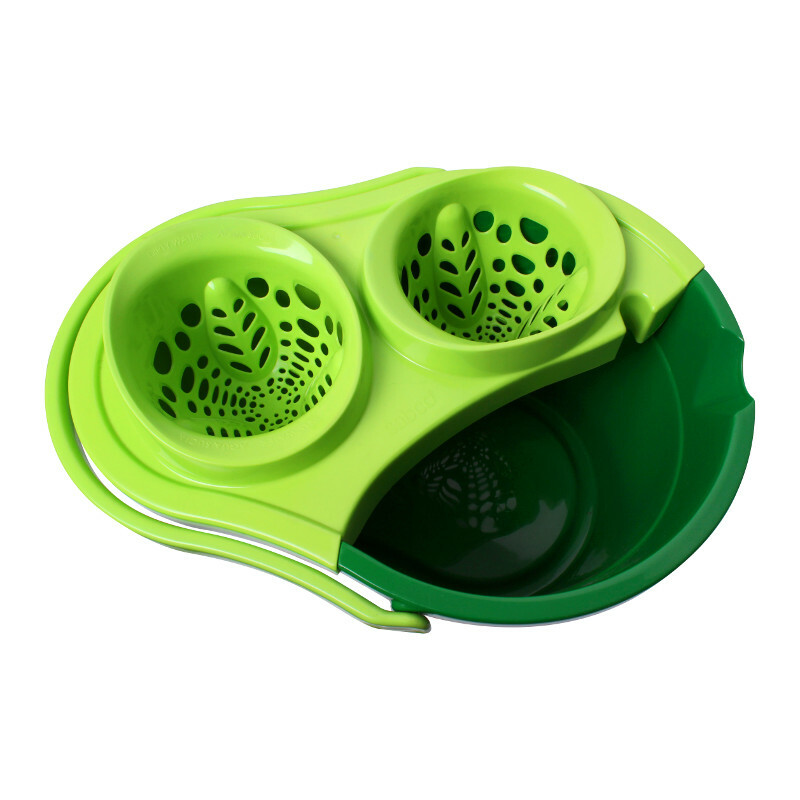 It extra wide pouring spout. 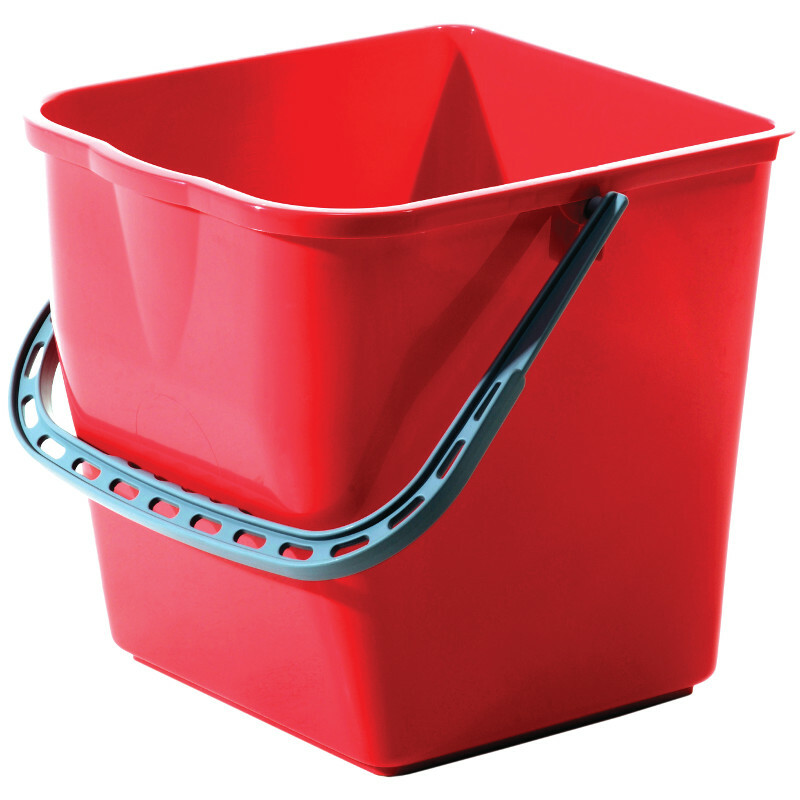 Sturdy and lightweight cleaner's basket.It is ideal for carrying most used cleaning tools, accessories and treatments around to the different rooms of your house. Heavy duty plastic body. Plastic handle. Australian made. 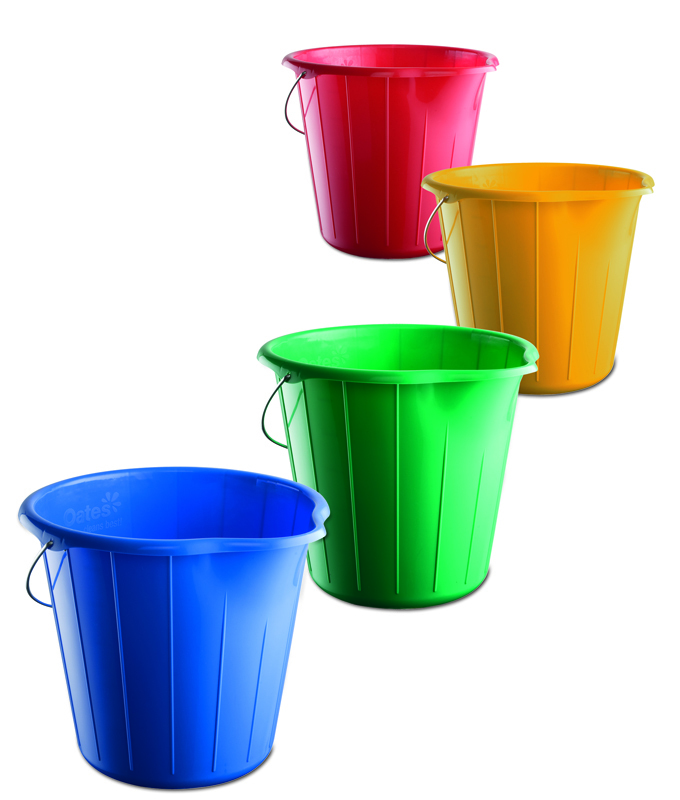 Available in blue, green, red, and yellow. Handy pouring spout. Wire carry handle. Australian made. 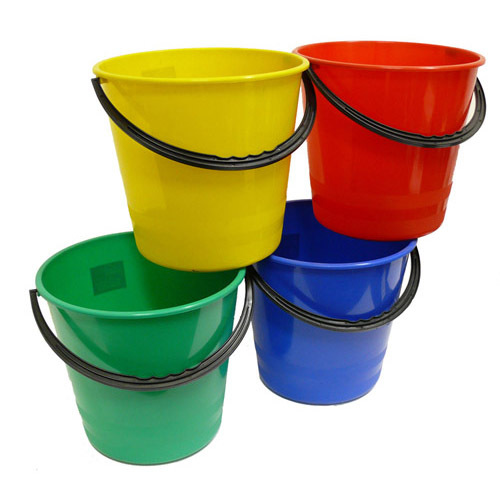 Available in blue, green, red, and yellow. 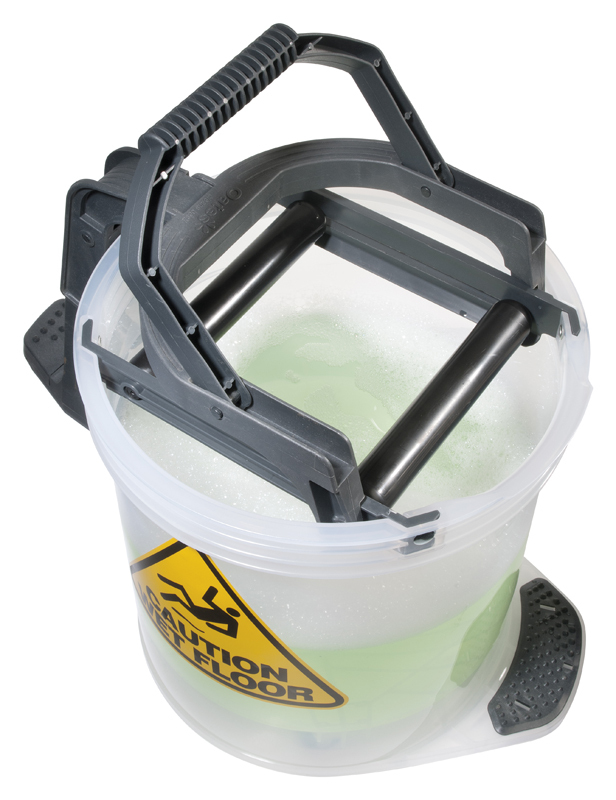 An easy-to-use cleaning system. 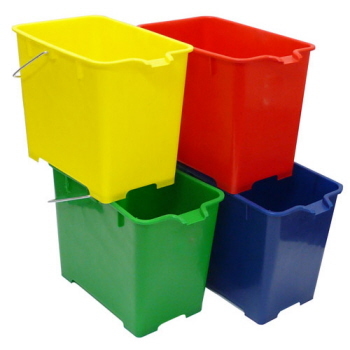 Synthetic sponge mop heads. Handle mounted lever allows for squeeze-action wringing. 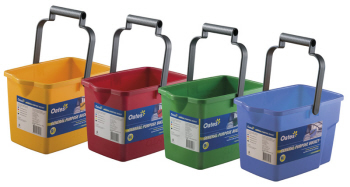 Refill heads available. 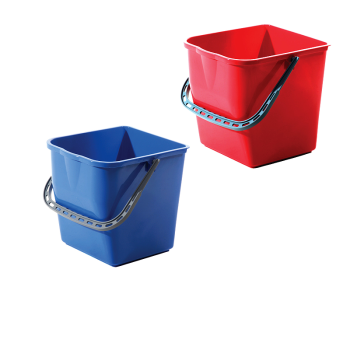 Double pail for separation of cleaning solution and rinse water. 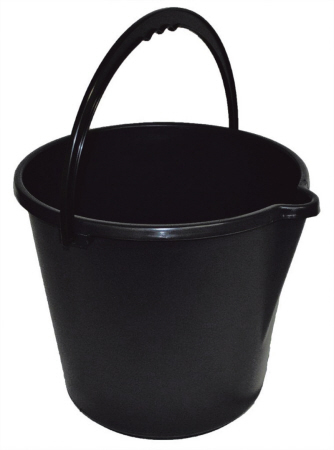 Australian made 20L round heavy duty bucket with strong handle that provides mobility. 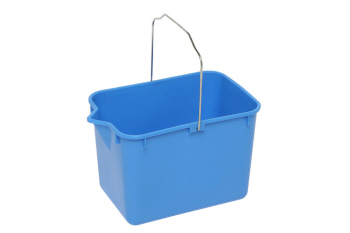 It is good enough for the biggest cleaning jobs. Available in black and white colours. Dimension: 340mm x 350mm. 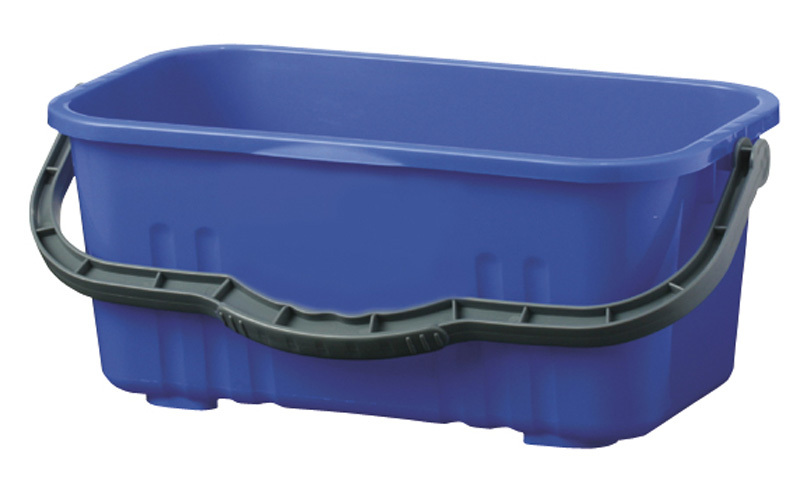 Made of HDPE material.